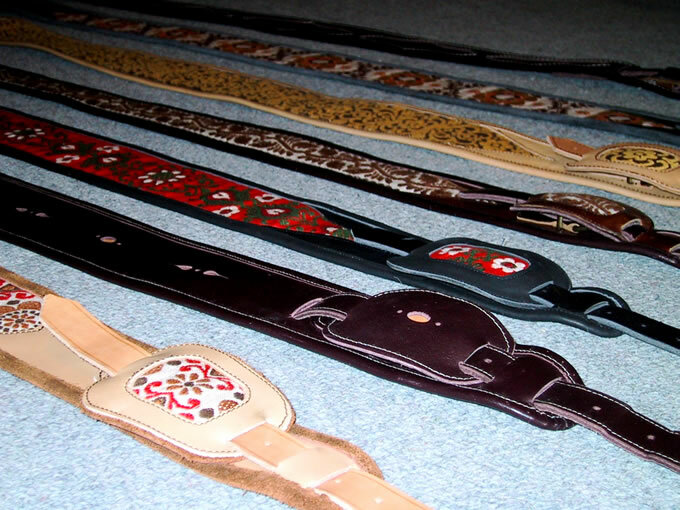 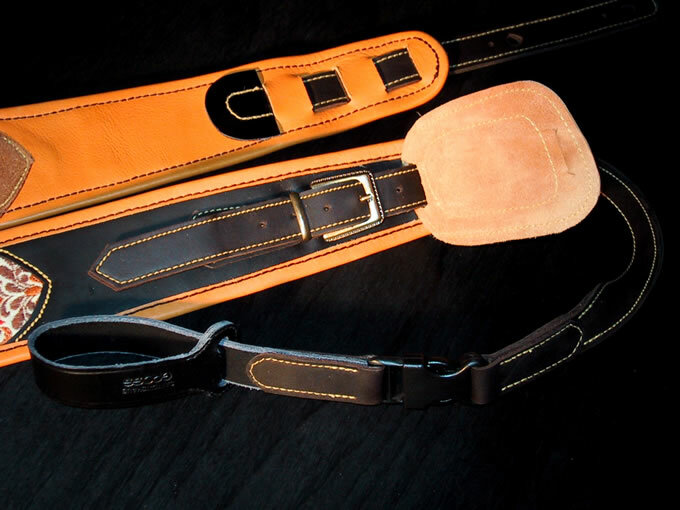 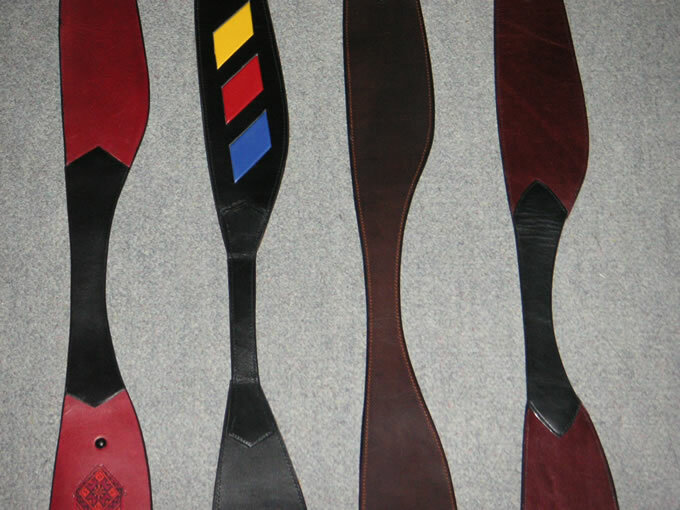 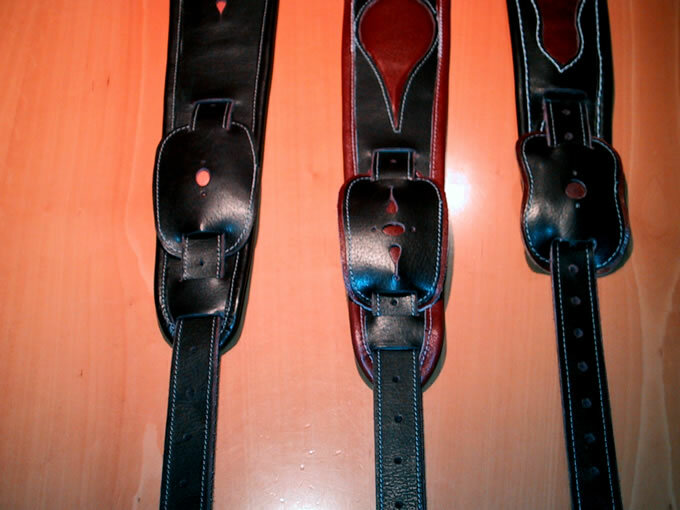 The straps I make are made of leather or a combinatione of fabric and leather. 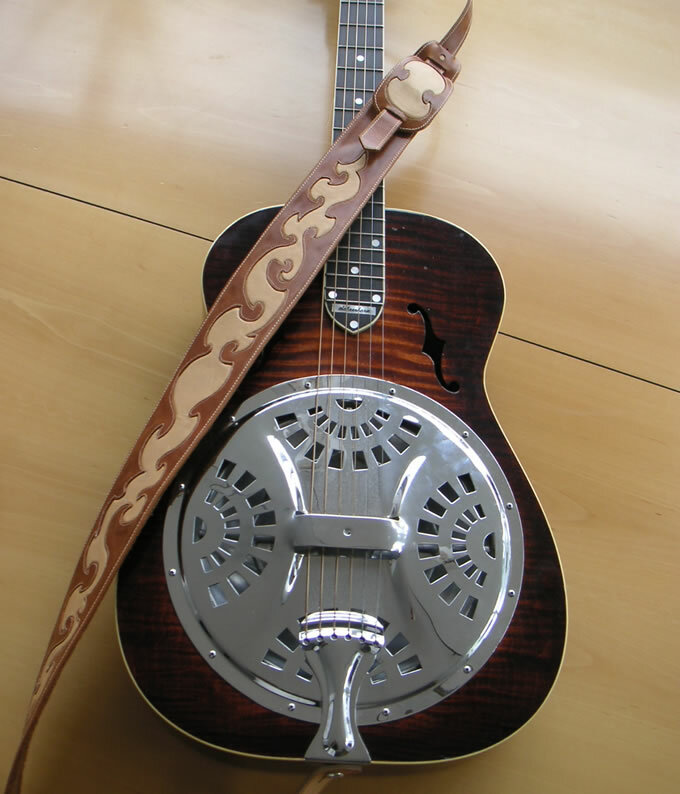 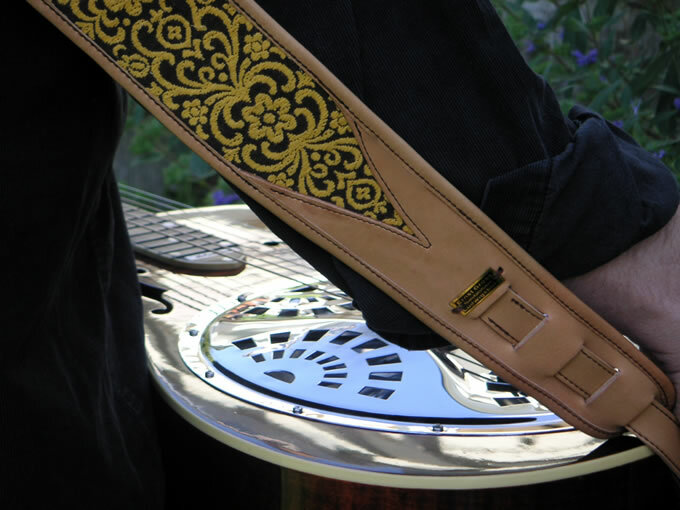 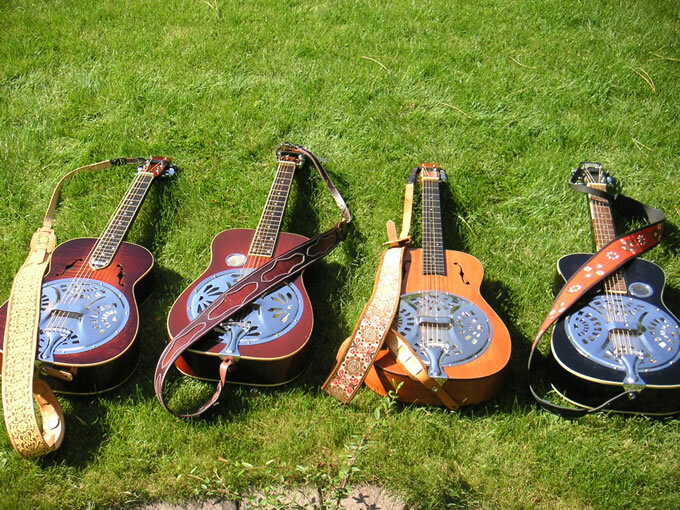 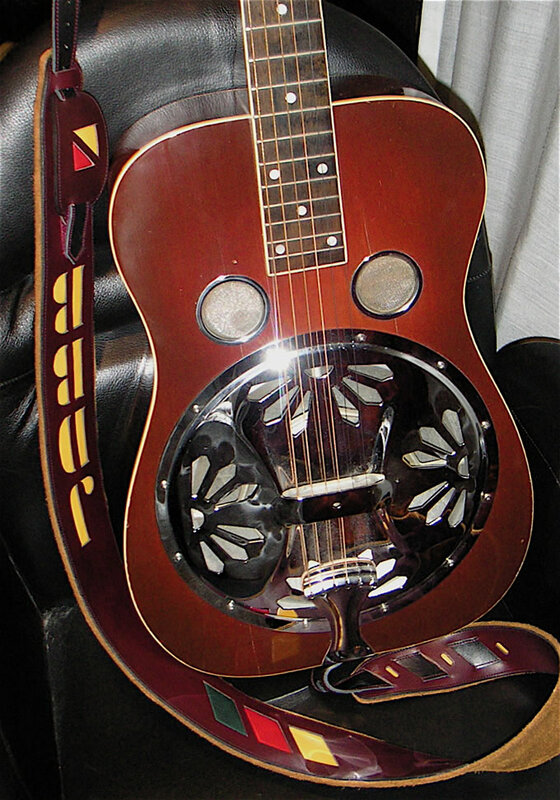 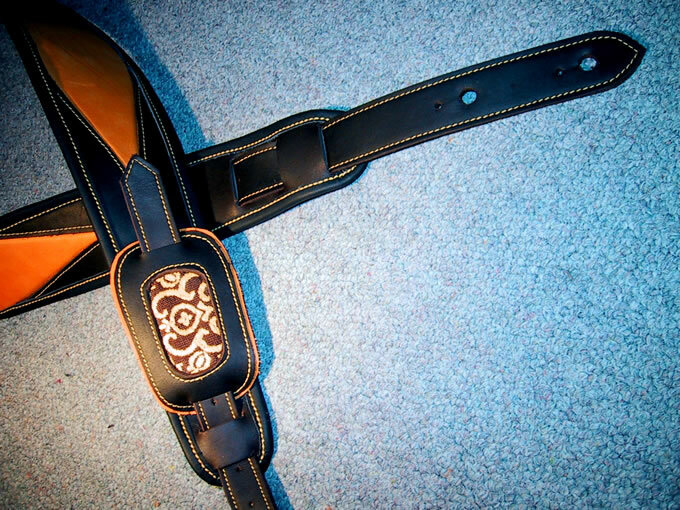 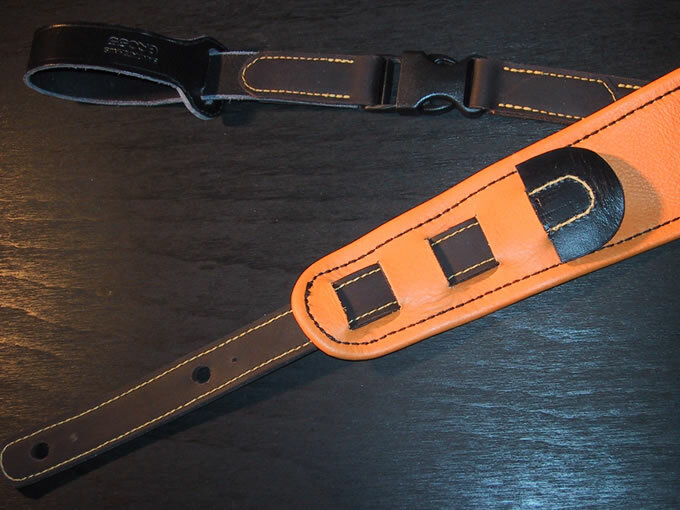 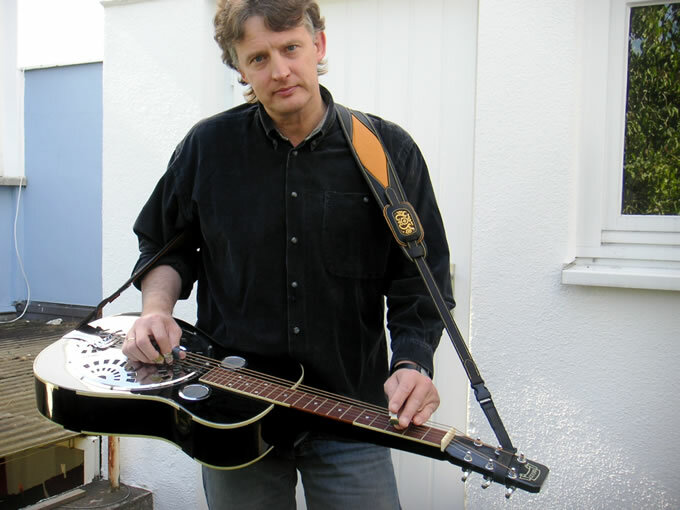 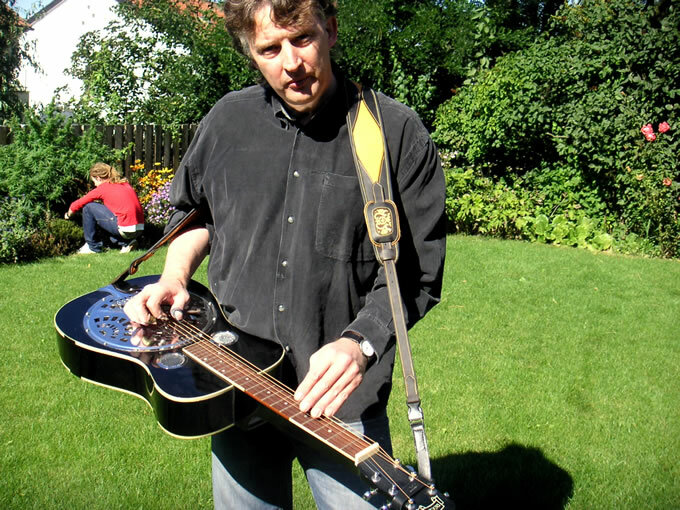 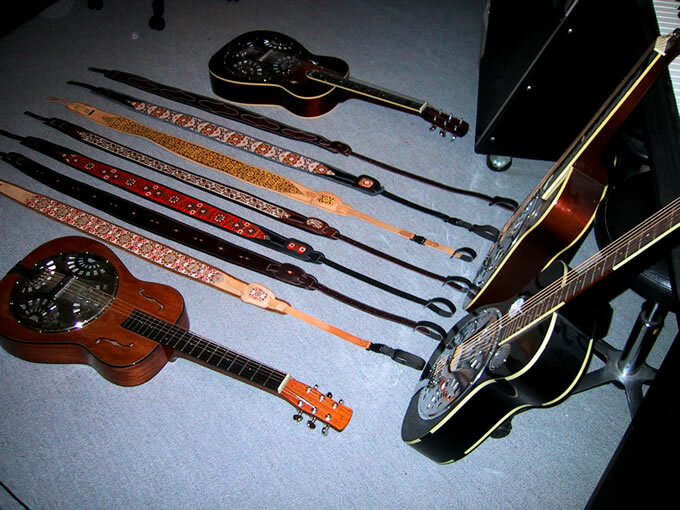 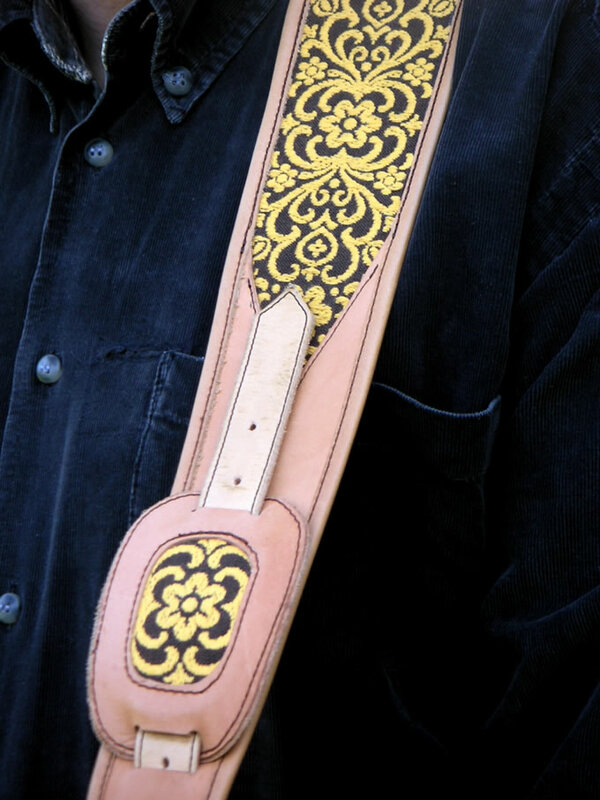 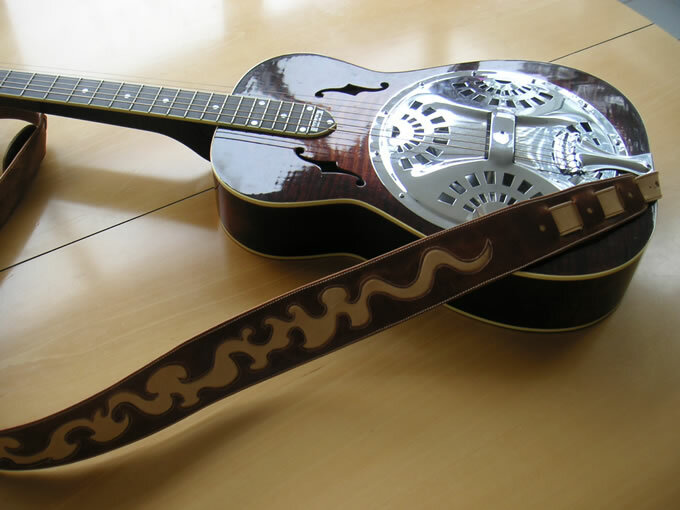 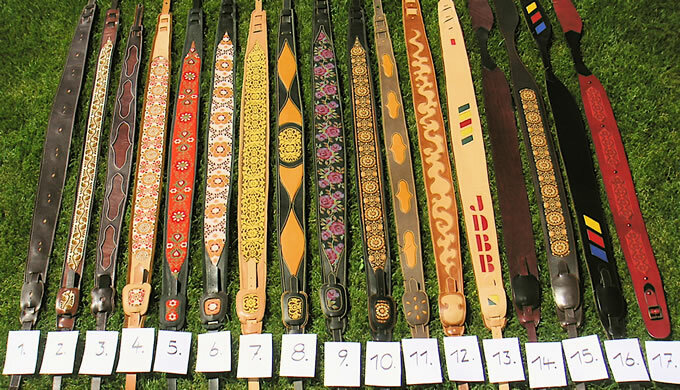 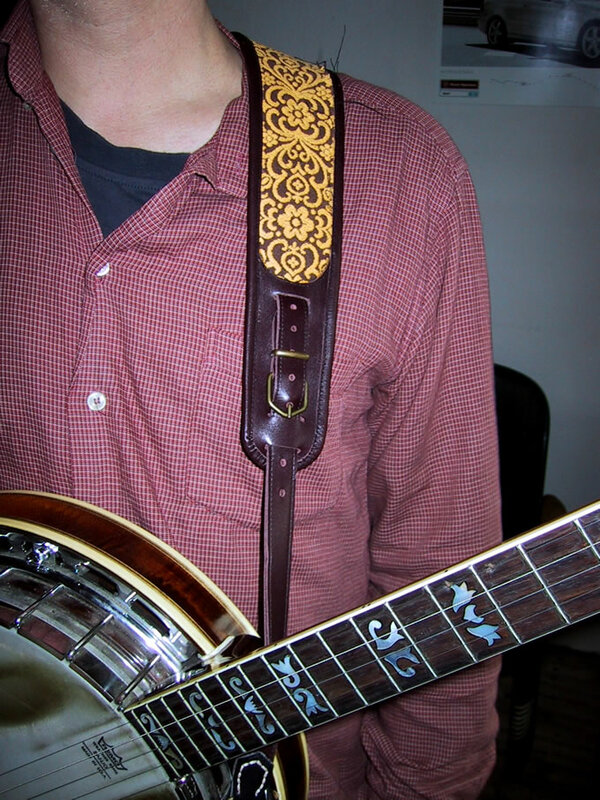 They have a buckle to adjust the length of the strap, which is protected with a pad to avoid any damage to the guitar. 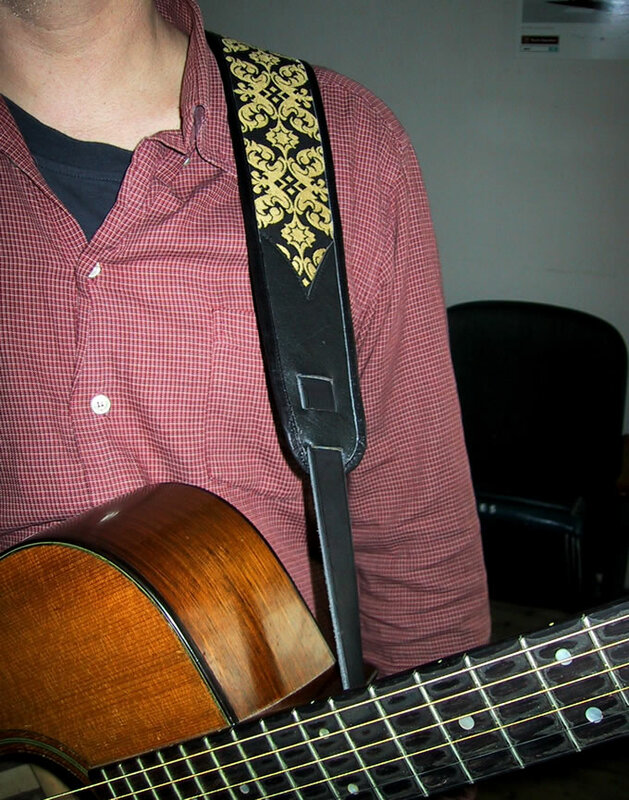 There is also a plastic clip to connect the headstock loop with the strap. 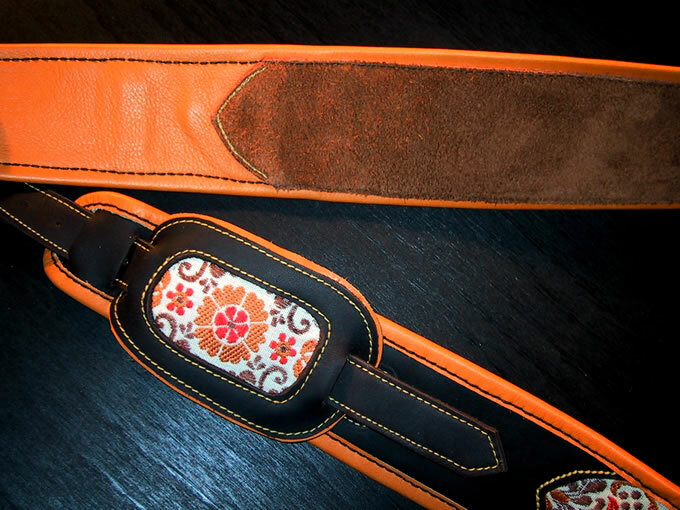 The backside of the strap is coverd with velour which makes it real comfortable but still get a lot of grip.